→ Social Networks help people communicate, but people want to grow as well. → inspirational Business e-Coach that helps individuals and organizations grow much faster and became a social solo interpreneur. Today, much more people visit my website than the website of that IGO. I used to contribute a drop to an Ocean. Today, my drop in LARGER than that Ocean. With → customer care at heart, Ten3 Business e-Coach creates unique customer value: It doesn't teach, it inspires. 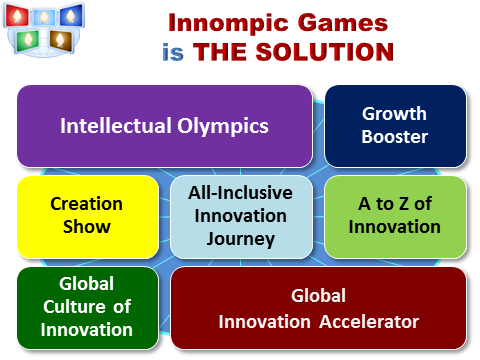 It helps people and companies unlock their inner creative power and achieve amazing results. That's why Ten3 Business e-Coach and Ten3 Mini-courses are so popular. People and companies from 100+ countries buy them. Much more "Thank You!" notes are published here. 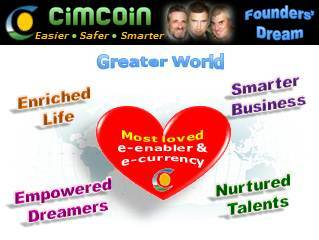 Cimcoin is a breakthrough image-based verification and certification technology that opens new horizons and creates radically new opportunities for both non-financial and financial sectors, and ultimately, for better life and smarter business. 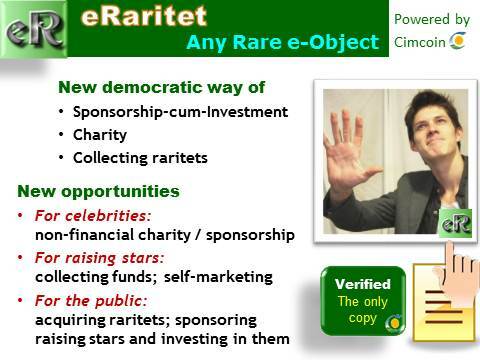 eRaritet is a Cimcoin-powered application that creates a new market of digital raritets ‒ various images such as photos, drawings, designs, collages, certificates, etc. CVCI is a nonprofit devoted to the advancement of companies and organizations to transform their organizations and have a customer centric management practices by creating value for their customers. CVCI provides members with the key solutions to sustainable profit, found in a deeper understanding of what drives value for customers, how to communicate value and how to manage an organization. CVCI helps members learn how to define their customers value and how to align the entire company to focus on value creation. Speed & Reliability of order fulfillment. Ford used to be defined as "auto manufacturer", but that label doesn't fit so well any more. Ford Motor Company's leaders thought expansively to find related marketplaces the company could serve and broadened their niche from the market for vehicles to the lifetime needs of vehicle owners. Today the description "designer and marketer of automobiles" is more accurate. Ford's primary value-added is understanding customer requirements and positioning products to accommodate those needs. Ford concentrates on identifying market segments and shapes vehicles and services to fit them. The more value you create online, the more people visit your website.